The Meuse-Argonne American Cemetery, covering one hundred and thirty acres, holds the largest number of American Dead in Europe, a total of 14,246. Most of those buried here gave their lives during the Meuse-Argonne Offensive of World War I. The immense array of headstones rises in rectangular rows upwards beyond a wide central pool to the chapel which crowns a ridge. A beautiful bronze screen separates the chapel foyer from the interior, which is decorated with stained glass windows portraying American unit insignia. 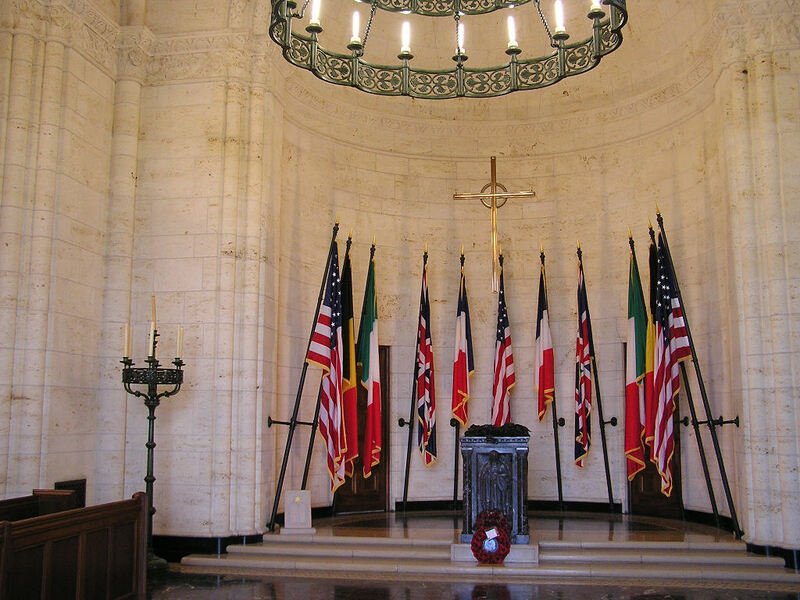 Behind the altar are the flags of the Allied nations.